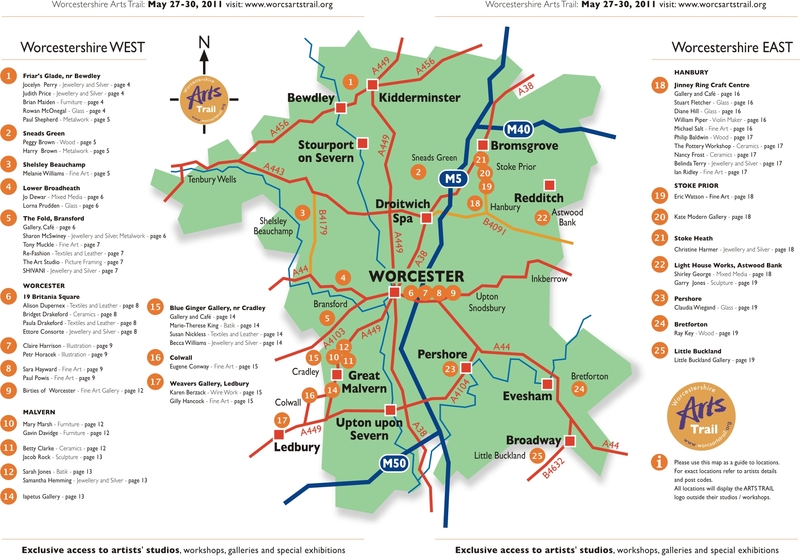 This weekend I’m de-camping from my Jewellery Quarter home and going down to the beautiful Blue Ginger Gallery, near Malvern, for the Worcestershire Arts Trial. and do remember to call at Blue Ginger, Venue 15 for jewellery, batik and some’s of Sue’s very fine cake! 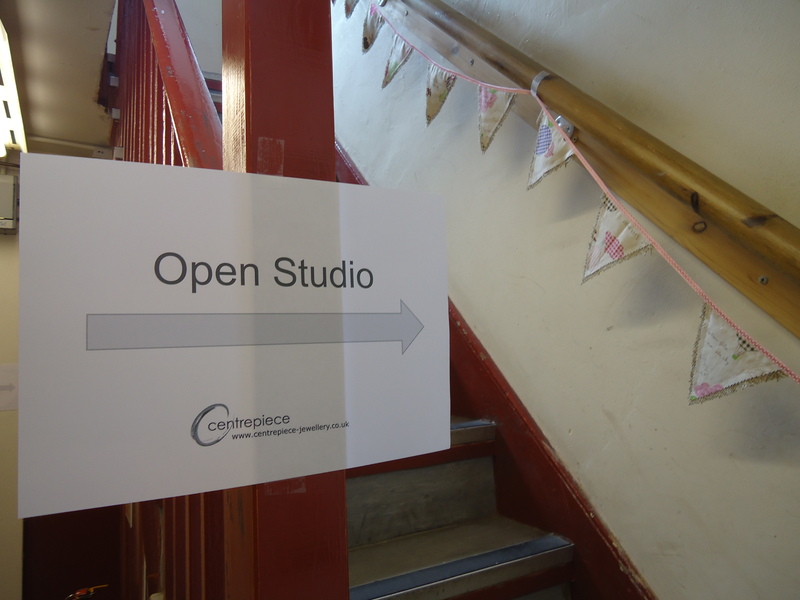 I opened my new studio up yesterday for Centrepiece’s annual Open Studios. I really wasn’t sure what to expect so I was pleasantly suprised by the steady stream of visitors who came around, had a look at what I do and occasionally watched me solder something (but mostly watched me drink tea). I was also suprised by how much I enjoyed it. I mean, I like talking to people at show when I sell my work but then I’m very much in a ‘retailing’ situation then. This was nice because when they expressed an interest in my work I could show them works in progress, things that were half made so that they could see the construction, or even, in one case get some advice on what I was currently making. 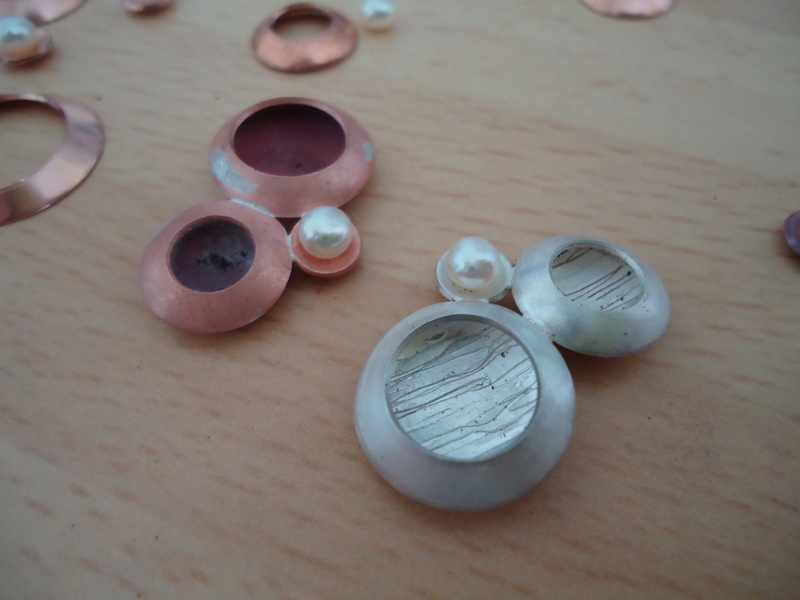 It felt a lot more friendly and informal being in my own space and no one really minded that I was covered in workshop dust – today it just added to my artisan charm. and got instant feedback on it from the people coming around, which was very nice indeed. I’m taking my bench on the road next weekend for the Worcestershire Arts Trail – so I’ll see how these pieces develop out in the Worcestershire sunshine.